In accordance to the “paper of his Life” Hosios Loukas lived in the area of ancient Steirion & founded a monastic community in 946. After his death in 953, a rumor that his relic was miraculous brought many faithful people to the monastery to be cured. The monastery complex consists of two churches with cells & ancillary buildings & it is surrounded by an enclosure wall with towers at the corners. 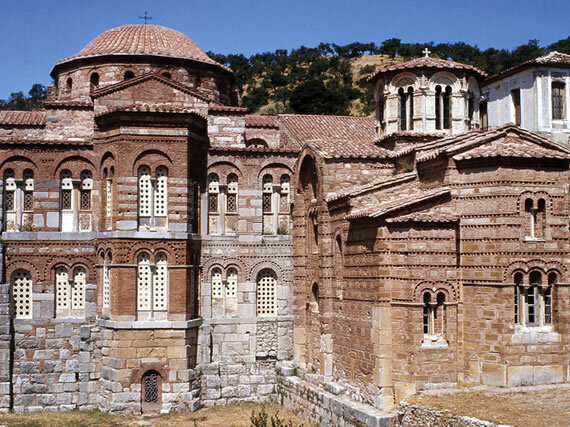 The church of "Panagia Theotokos" is the oldest one. It was likely built by the initiative of the emperor Romanos B’ in 961. Its architectural type is that of a complex tetrastyle church, which was very common in Constantinople. 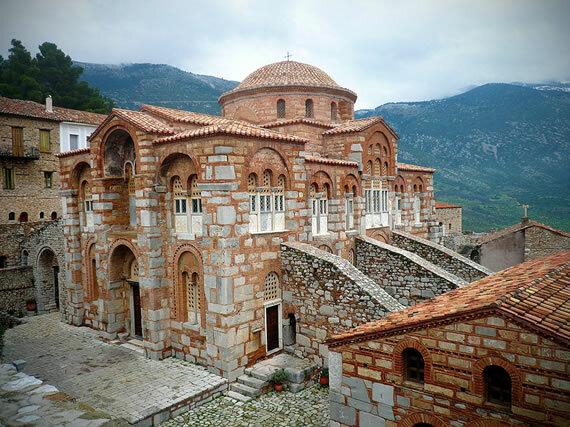 The church of Hosios Loukas, "Katholikon", was built in the first half of 11th century. Its architectural type is that of domed octagon with the main feature a huge dome & the main area unified & unbroken. The mosaic decoration is dominated by figures of military, of church fathers & of saints monks. The refectory has been used since 1993 as a sculpture museum, in which are exposed excellent marble parts from the monastery’s buildings. The relic of Hosios Loukas is in the lower crypt to the right of the katholikon.